No one can see into the future, but certainly some people are more adept at analysis and prediction than others. To that end, there is a special book that has just come out for the first anniversary of the disasters and I would urge you to get your copy now. 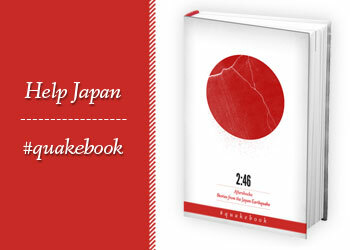 This is not a book of quake or tsunami experiences. This is a book comprised of pieces by journalists on various aspects of the disaster, recovery and reconstruction efforts. What is happening now in Japan? What may happen as a result of the nuclear crisis in the country? What about the economy? How is the clean-up really going? What are the people thinking? If you have any of those questions, then this book is for you. You can download it here for your Kindle, and if you do not have a Kindle, you can get a free Kindle-reading-app for your computer. If you buy one book of analysis of the country one year later, this should be it. The hard-nosed journalism mixed with the appropriate amounts of compassion and skepticism make this book real and believable. Some of the proceeds go to support various charities, but regardless, you want to own this book. At $2.99, it’s worth every penny. 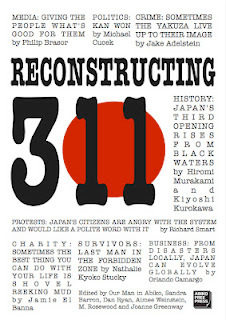 For those of us who live and work in Japan, the specter of the Great Tohoku Earthquake is never really off of our minds, even now, one year later. We lived through it; we continue to have contact with the effects of it; and we are living in a world where everything is divided into “before” and “after” March 11th. Earthquake drills at schools take on new meanings. Earthquake kits have been beefed up and put in more accessible spots. More furniture is now bolted to the walls. And as one major after-affect, the closets of every single person I know have been cleaned out more than once so any extra things that we were hanging on to will go to good use for those people up north who lost everything – clothes, kitchen items, bedding, everything. Japan did not have a lot of non-governmental organizations (NGO) before the quake – the government was always able to take care of everything. But this was just too huge and people genuinely wanted to help in various ways. There are tons of new charities around Japan that help with everything from simple financial assistance to bicycle donation to fresh food deliveries to areas where the soil is no longer viable due to radiation concerns from the Fukushima nuclear reactor. Understand us. Buy the book.